Are you sick of hearing your colleagues moan about the dreaded year-end tax filing? It only adds to your misery that you are heading in that direction too. But you can avoid all that stress. You can now use your Aadhaar Card to verify your income tax return. You just need to provide your Aadhaar Unique Identity Number (UIN). Log into the e-filing website of the Income Tax department using your PAN number. Then link your Aadhaar number. You can upload your Income Tax Return (ITR) forms. Choose the option to generate an Aadhaar one-time password (OTP). This will be sent to your verified mobile number. Furnish this code to verify your Income Tax Return. You can also verify returns uploaded on an earlier date. Do this by choosing the Aadhaar OTP verification option. 2. Beating the passport blues: Did you know you can now get a new passport in just 10 days? Sounds like a miracle, does it not? This is another benefit of Aadhaar Card. When you go online to apply for a passport, attach a copy of your Aadhaar Card. This will serve as a proof of identity and address. Three days later, you will get an appointment. Thereafter, the Passport Office will process and dispatch your passport in just a week. 3. Open bank accounts in a flash: There is no need to collect multiple identity proofs or run around for documentation. Your humble Aadhaar Card is ample proof of your identity and address. 4. Get pension money on time: One of the biggest benefits of Aadhaar card for senior citizens is it can enable timely pension pay-outs. After all, older people may find documentation processes cumbersome and time-consuming. Pensioners just need to register their Aadhaar Card number. This will ensure timely pension pay-outs. 5. 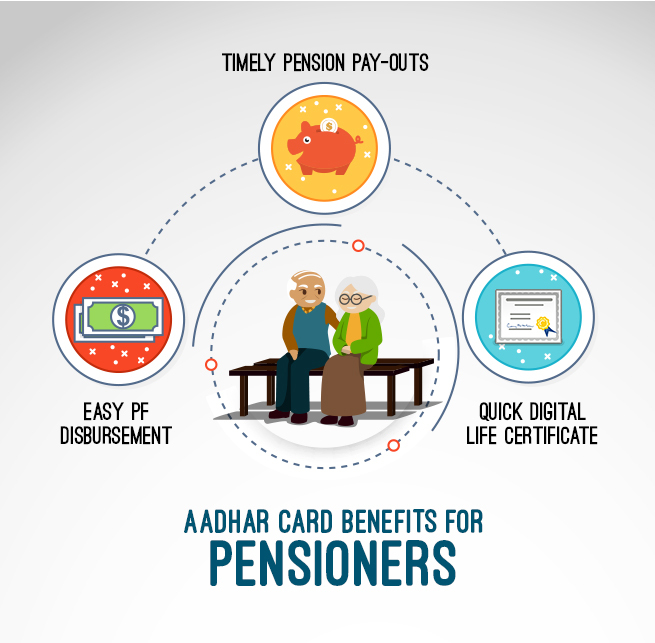 Digital Life certificate: Pensioners have another reason to be happy, thanks to the Aadhaar Card. You can use your Aadhaar Card registration number online to get a digital life certificate. This can help you to continue getting your pension without the hassle of physically going to the bank and submitting the life certificate. This reduces the need for physical legwork, and increases the importance of Aadhaar card. 6. Easy Provident Fund disbursement: One of the best uses of Aadhaar Card is that it ensures that the Provident Fund is disbursed directly to the pensioner’s account. The pensioner must simply link the Card with their pension account. This saves time and effort. Another feature that increases the importance of Aadhaar card is it can direct LPG subsidy to your bank account. All you need to do is furnish your Aadhaar Unique Identification Number (UIN). In fact, all government-related subsidies will reach you directly thanks to your Aadhaar Card. No need to register separately for every government benefit. 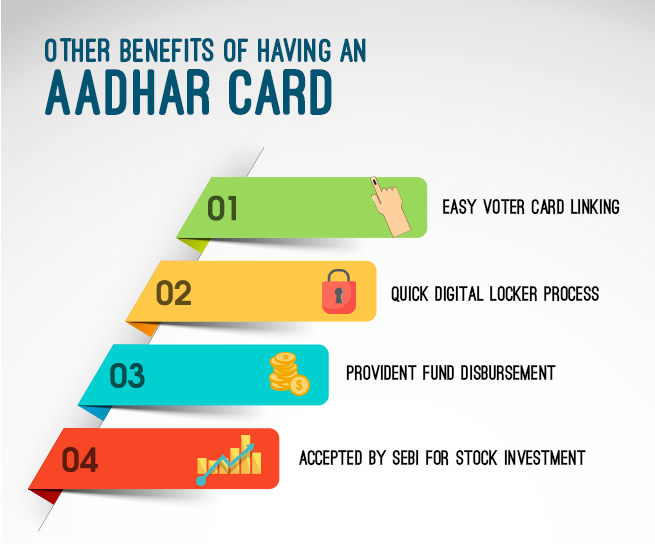 So plan wisely and ensure that your Aadhaar Card is not lying idle in your wallet. There’s definitely more to it than you think!